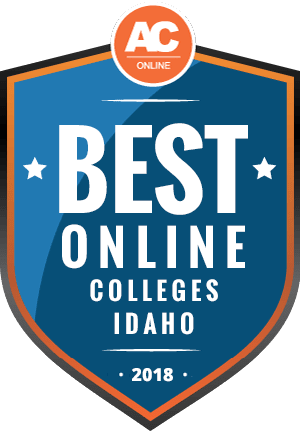 Why Choose Idaho for Online Higher Education? According to the Georgetown Center for Education and the Workforce, by 2020, 65% of jobs in Idaho will require some form of postsecondary education. Of those jobs, 22% will require at least a bachelor’s degree, and another 10% will require a master’s degree at minimum. A look at the 100 top jobs from the Idaho Department of Labor demonstrates the importance of postsecondary education, especially as it relates to industry growth rates and earning potential. To meet these educational needs, Idaho’s educational institutions have expanded their online programs for both in-state and out-of-state students. This guide will introduce you to those online programs and help you select the program that best meets your needs. The Integrated Postsecondary Education Data System ( IPEDS) reports that Idaho colleges and universities enrolled 29,758 undergraduate students exclusively in their 22 online programs in 2016. Another 2,549 graduate students enrolled in some of these online programs. These figures include 5,077 international students. The accessibility and affordability of Idaho’s online programs expand educational opportunities to groups like single parents, professionals with full-time jobs, and underserved populations. Like most states, Idaho’s public colleges and universities tend to charge higher tuition rates for out-of-state students. Idaho’s four-year public colleges charge an average of $7,005 annually for in-state tuition versus $21,370 for out-of-state tuition, according to the National Center for Education Statistics. However, private universities rarely follow this practice. Some public universities charge the same tuition price for online students, regardless of residency. Of Idaho’s public colleges and universities, Boise State University currently charges the same tuition fee to all online students. Out-of-state students enrolling in one of Idaho’s other public universities can reduce their tuition burden if they live in one of the 16 states that participate in the Western Undergraduate Exchange or the Western Regional Graduate Program. Idaho’s public four year institutions charge about 80% of the national average for in-state tuition, and about 85% for out-of-state students. However, Idaho’s average tuition rates at public two-year colleges are parallel with the national average tuition rates for all students. The following institutions boast the highest online enrollments in Idaho within their respective categories. The list specifies tuition costs for both on-campus and online students. Public, 4-Year University:Boise State University, Both in-state and out-of-state online students pay the same tuition of $350 per credit as on-campus students, with slight variation for different programs. Private, 4-Year University:Brigham Young University-Idaho, In-state and out-of-state online LDS students pay the same on-campus tuition of $172 per credit. Non-LDS students pay $344 per credit. 2-Year College:College of Western Idaho, Online students pay the same tuition of $139 per credit as on-campus in-district students. Out-of-district students pay an additional $50 per credit, while out-of-state students pay $306 per credit. According to the National Center for Education Statistics, 19,323 out-of-state undergraduate students studied exclusively online in Idaho. Another 1,118 out-of-state graduate students did the same. Idaho is part of the State Authorization Reciprocity Agreement (SARA) through the Western Interstate Commission on Higher Education (WICHE), which makes it easier for out-of-state students to earn their degrees through Idaho institutions. Because of Idaho’s participation in the State Authorization Reciprocity Agreement, out-of-state undergraduate and graduate students benefit from tuition reductions at some Idaho colleges and universities. Students seeking bachelor’s degrees can find more information about these discounts through the Western Undergraduate Exchange. Similarly, graduate students can learn more about these discounts through the Western Regional Graduate Program. These discounts apply to those living in one of the 16 states that participate in the agreement. You will need to arrange for this through the registrar during the enrollment process. This option does not apply to online colleges in Idaho that do not charge higher tuition rates for out-of-state students. This list ranks accredited colleges according to affordability, student-to-teacher ratios, graduation rates, financial aid, and student support services. Each of these online schools in Idaho offers at least three online degrees. Consider how well each school accommodates your goals and preferences. In addition to the rankings provided above, prospective students can find answers to frequently asked questions below. Review the linked resources for more detailed information. Do Online Credits Cost More or Less in Idaho? Tuition varies by institution. However, among Idaho’s three public universities, the University of Idaho and Boise State University charge the same tuition for online students as they do for on-campus students. Idaho’s public two-year colleges charge extra for those students who live outside their district. Out-of-state students pay even more. Among Idaho’s private colleges, Brigham Young University-Idaho and Northwest Nazarene University serve the most online students and do not charge online students more. Brigham Young University-Idaho charges higher tuition to non-LDS students, but makes no distinction between online and on-campus tuition. These tendencies reflect the trend to make online programs in Idaho more affordable and accessible. Which Idaho Schools Accept the Most Transfer Credits? The Idaho State Board of Education encourages the transfer of credits to Idaho online colleges from any college or university accredited with the United States Department of Education or the Council for Higher Education Accreditation. The Idaho State Board of Education operates a CourseTransfer website, with information for those considering transferring credits to an Idaho college. The website allows you to select the online college in Idaho that interests you and enter information on the elective course or courses you would like to transfer. The tool gives you an idea of how many credits you can transfer. You’ll also learn how many general education courses you can transfer in each category. Finally, the CourseTransfer tool addresses the topics of dual credit courses, AP exams and International Baccalaureate exams. Will Any Online Colleges in Idaho Accept a GED? Nationally, not all employers or college admissions officers welcome the General Education Development, or General Education Diploma (GED) with open arms. However, all online colleges in Idaho accept passing GED scores in lieu of a high school diploma. Despite that widespread acceptance, the University of Idaho specifies all GED scores will undergo special consideration by an admissions review committee. The committee reviews GED scores along with any high school work completed and either ACT or SAT scores. While the University of Idaho explicitly describes this GED review, all colleges review applicants in light of their completed application package and references. In the final analysis, a GED alone will not compromise an applicant’s chances for admission in Idaho. How Many Academic Terms per Year Do Online Colleges in Idaho Offer? Currently, none of the online schools in Idaho offer classes or terms that begin every week or every month. Most colleges offer their online courses in terms that parallel the schedule for on-campus programs. Some of the schools structure their online programs according to a cohort model so students move through the program together. While that approach enhances networking opportunities among students and staff, it does not accommodate frequent start schedules. However, both Boise State University and Northwest Nazarene University offer some courses and programs with accelerated schedules; students move through these courses in eight-week terms, which have frequent start dates. Which Online Colleges Will Accept the FAFSA in Idaho? All online colleges in Idaho accept the Free Application for Federal Student Aid (FAFSA). The FAFSA provides college financial aid offices with the information they need to process need-based financial aid requests. Many other scholarship sources request FAFSA information for merit-based aid. To make your Idaho online college experience as affordable as possible, you should complete your FAFSA early, usually as close to October 1 of the year prior to enrollment. You can submit the requisite tax information to FAFSA once it becomes available. Are There Any Free Online Classes I Can Take from Idaho Colleges? Although no online colleges in Idaho offer free online courses for credit toward a degree, the human resources department at Brigham Young University-Idaho does list free educational resources that include free online courses. However, the free resources come from organizations outside Idaho. According to The Movement Backing Tuition-Free Community College by the Idaho State Board of Education, Idaho’s two-year colleges may eventually offer free online courses. How Can I Find the Online Program Options at Idaho Colleges? Given the small number of colleges and universities in Idaho, both public and private, no independent state-approved clearinghouse lists the online program options in Idaho. In lieu of such a tool, the ranked list on this site will help you select the best college. Review the program options on a school-by-school basis. The evaluations can save you time in selecting the college that best meets your needs. Attending even the most affordable college still stretches the budget beyond what most students can afford. The United States Department of Education offers the Pell Grant to undergraduate students with considerable financial need. Other sources of funding include loans and scholarships. Here are a few scholarships to help you start your search. The Idaho State Board of Education sponsors this merit-based scholarship to reward students who demonstrate a commitment to community service. Successful applicants may renew the scholarship for up to four years. Focusing on need-based financial aid, the Idaho State Board of Education offers this scholarship option. Applicants must hold a 2.7 GPA or higher and demonstrate financial need. Successful applicants may apply for renewal for up to four years. The Idaho State Board of Education created this need-based award to enable adult learners to pursue their college degrees. Applicants must have at least a 2.7 GPA and have been out of school for at least two years after high school. The scholarship can be renewed for up to four years. High school graduates from one the 27 GEAR UP school districts may apply for this scholarship sponsored by the Idaho State Board of Education. Successful applicants can renew the scholarship for a total of four years. This tuition waiver scholarship from the Idaho State Board of Education benefits dependents of fallen or permanently disabled members of the armed forces or public safety officers. The scholarship covers a maximum of 36 months.